Pope County Museum A-Z is a continuing feature of our blog. Each week, I will highlight an item or items from our Museum collection. 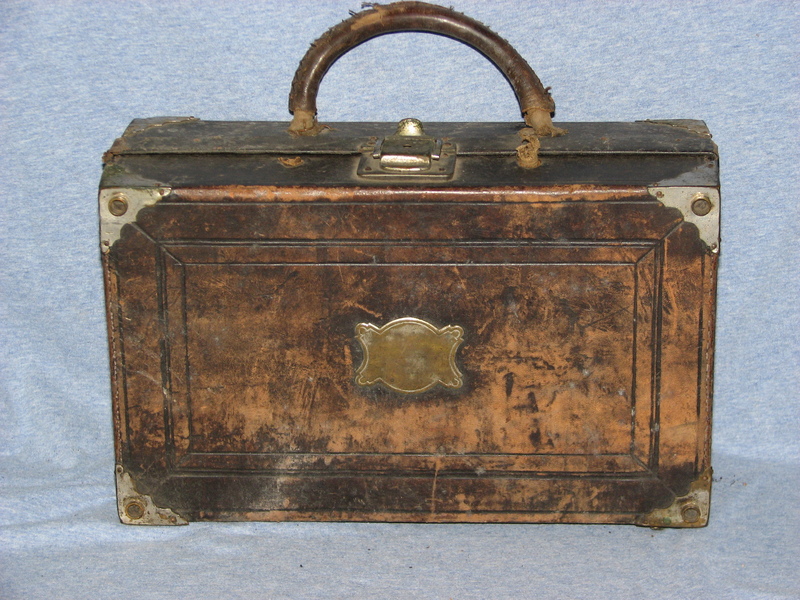 This week’s item is a Doctor’s bag of medicine used by Dr. John F. Skinner of Terrace. 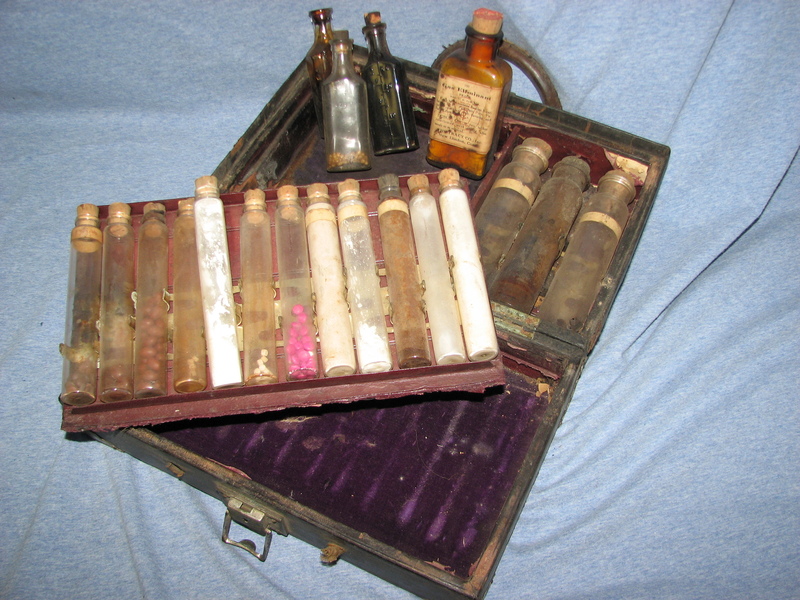 The case is small and rectangular and contains many small vials of pills and powders. 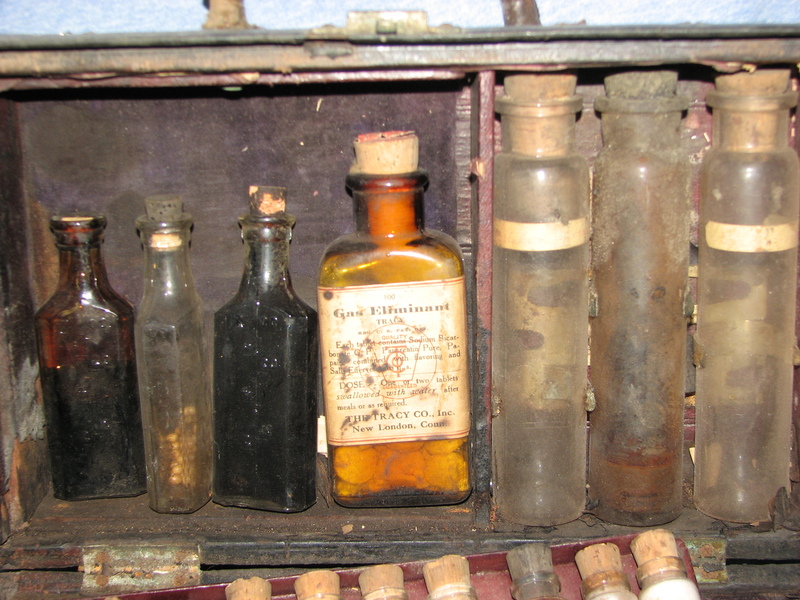 One bottle still has the label for “Gas eliminant.” Also in the collection are Dr. Skinner’s surgical tools. Dr. Skinner was a physician, surgeon and druggist with patients from surrounding counties. He traveled to visit his patients with his buggy or cart pulled by a team of horses, or by skis. He maintained his practice until 1919 when he died after contracting influenza. This entry was posted in Collection Notes, Local History and tagged A-Z, Dr. SKinner, Glenwood, J.F. Skinner, Minnesota, Pontoon, Pope County Minnesota, Pope County Museum. Bookmark the permalink.